SUGAR is as much to blame for the diabetes epidemic in the world as unhealthy lifestyle and obesity. A study at Stanford University, in collaboration with University of California, Berkley and University of California, San Francisco, in the US, has found that additional sugar in diet may be raising the risk of Type-2 diabetes. The study explains high diabetes prevalence in countries which are comparatively less obese, like India. Delhi-based National Diabetes, Obesity and Cholesterol Foundation data shows India has 50.8 million diabetes patients—highest among all countries. It also is the biggest consumer of sugar. Per capita sugar consumption in India went up more than threefold from about five kg per person per year in 1960-61 to over 15 kg per person per year in 2010-11. For the study, the researchers studied individual and compounded effects of various factors—sedentary lifestyle, alcohol consumption, sugar use and obesity—conventionally linked to diabetes. Based on an analysis of WHO, International Diabetes Federation and Food and Agriculture Organization data from 175 countries, they concluded that sugar may independently be related to diabetes unlike other factors, like lifestyle and alcohol, which make people obese and thus cause diabetes. Researchers had to rely on sugar availability data as no comprehensive data on sugar consumption is available. The study, published in PLoS ONE on February 27, showed that both incr eased availability of sugar in diet as well as its increased contribution to total cal orie intake increases the risk of diabetes. Every extra 150 kilocalories from different types of foods made available per person per day was found to be linked with 0.1 per cent rise in diabetes prevalence. However, if the same amount of extra calories—equivalent to a 300 ml soft drink serving—come from sugar, they increase diabetes prevalence by 1.1 per cent. Also, for every one per cent rise in calories from sugar in total food calories, diabetes prevalence goes up by 0.167 per cent. Every extra year of exposure to high sugar availability, increases diabetes prevalence by 0.053 per cent. This is first time that a big epidemiological study has suggested that calories from all sources may not have the same effect on diabetes. Seema Gulati, head of National Diabetes, Obesity and Cholesterol Foundation holds both added sugar and refined carbohydrates responsible for this. “Sudden rise in carbohydrate level in blood may be triggering it,” she says. “We are not diminishing the importance of obesity at all, but these data suggest that there are additional factors that contribute to diabetes risk besides obesity and total calorie intake, and that sugar appears to play a prominent role,” says Sanjay Basu, the lead author. So do we need to adopt policies that check sugar consumption? Basu wants to wait till more evidence is found. But others are convinced. 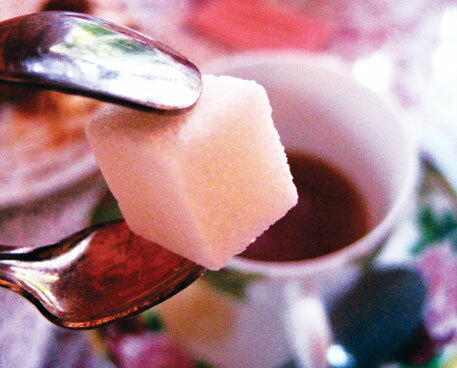 “At this point we have enough circumstantial evidence to advice people to keep their sugar use a lot lower than it normally is,” says Marion Nestle, professor of nutrition and food studies and public health at New York University in the US. This needs to be highlighted, even perhaps on the same lines as warnings against use of tobacco on cigarette packets. In our country, the present agriculture minister's business interests are probably the reason sugar production has increased, to the detriment of all crops. To add insult to injury, sugarcane cultivation continues to use up unfair shares of our most precious resource - water.